N 45° 24' 45" and W -75° 40' 37"
Ottawa East in Ontario is a town in Canada a little east of Ottawa, the country's capital city. Current time in Ottawa East is now 11:25 PM (Sunday). The local timezone is named America / Toronto with an UTC offset of -4 hours. We know of 8 airports near Ottawa East, of which 4 are larger airports. The closest airport in Canada is Ottawa / Rockcliffe Seaplane Base in a distance of 4 mi (or 6 km), North-East. Besides the airports, there are other travel options available (check left side). There is one Unesco world heritage site nearby. It's Rideau Canal in a distance of 76 mi (or 122 km), East. Also, if you like playing golf, there are a few options in driving distance. Looking for a place to stay? we compiled a list of available hotels close to the map centre further down the page. When in this area, you might want to pay a visit to some of the following locations: Ottawa, Canton, Saint-Polycarpe, Watertown and Malone. To further explore this place, just scroll down and browse the available info. Let's start with some photos from the area. June 28 2014, 1:30 Heat. 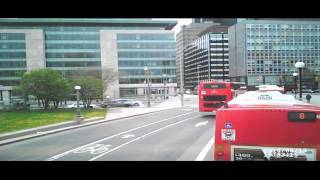 A driving tour of downtown Ottawa aboard one of OC Transpo's double decker buses. Come take a tour with us! 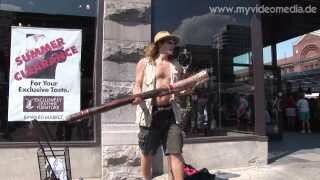 The University of Ottawa (uOttawa or U of O) is a bilingual public research university in Ottawa, Ontario, Canada. The main campus is located on 42.5 hectares in the residential neighbourhood of Sandy Hill, adjacent to Ottawa's Rideau Canal. The University offers a wide variety of academic programs, administered by ten faculties. 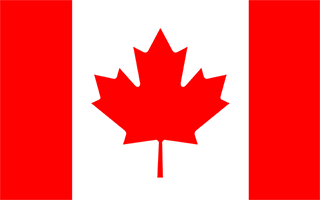 It is a member of the U15, a group of research-intensive universities in Canada. Located at 45.4222, -75.6824 (Lat. / Lng. ), about 1 miles away. Lisgar Collegiate Institute is an Ottawa-Carleton District School Board secondary school in Ottawa, Ontario, Canada. Lisgar Collegiate Institute, one of the country's best regarded public schools, is located in downtown Ottawa by the Rideau Canal and is only a few blocks from Canada's Parliament Hill. Located at 45.4206, -75.6881 (Lat. / Lng. ), about 1 miles away. Saint Paul University is a Catholic Pontifical university federated with the University of Ottawa. 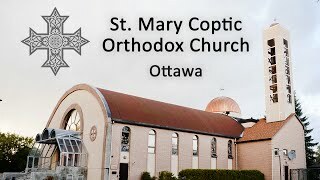 It is located on Main Street in Ottawa, Ontario, Canada, and is entrusted to the Congregation of the Missionary Oblates of Mary Immaculate. The enabling legislation is a civil charter passed by the government of the then-Province of Canada in August 1866, and a pontifical declaration promulgated by Pope Leo XIII on 5 February 1889. Located at 45.4081, -75.676 (Lat. / Lng. ), about 0 miles away. Immaculata High School is a Roman Catholic high school in Ottawa, Ontario, Canada, operated by the Ottawa Catholic School Board. It is currently located along the Rideau Canal in Old Ottawa East neighbourhood of Ottawa. Like other Catholic schools, it is publicly funded under the Ontario school system. Located at 45.4103, -75.6805 (Lat. / Lng. ), about 0 miles away. Lees Avenue is both a road and a neighbourhood in Ottawa, Canada. 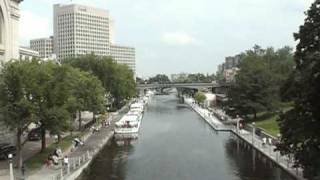 The area lies in the narrow stretch between the Rideau Canal and Rideau River south of Sandy Hill and the Queensway and is part of Old Ottawa East. The neighbourhood is dominated by five large apartment buildings, some of the largest in Ottawa. These buildings range from low cost to moderate cost and mostly house new immigrants, students and young professionals. Located at 45.4181, -75.672 (Lat. / Lng. ), about 0 miles away. Lees Transitway Station is a station on Ottawa's transitway. It is located south of the Queensway just to the west of the Rideau River. 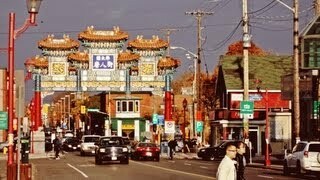 It serves the Lees Avenue region and the Sandy Hill Heights community. The station has had quite a notorious history for serious incidents. Soon after the station was constructed, coal tar began seeping into the station and it was closed for two months. Located at 45.4164, -75.6703 (Lat. / Lng. ), about 0 miles away. The Embassy of Armenia in Ottawa is the embassy of Armenia in Ottawa, Canada. It is located at 7 Delaware Avenue in Centretown overlooking the Rideau Canal. The embassy serves a dual purpose as both the representative of the nation of Armenia and also a centre for the 75,000 strong Armenian-Canadian community. It was with the aid of the Armenian diaspora that the building was purchased. The building was originally built in 1907-1908 and it has housed a number of prominent business leaders. Located at 45.4166, -75.6827 (Lat. / Lng. ), about 0 miles away. Campus Transitway Station is a station on Ottawa's transitway. The stop number is 3021, located just east of the Rideau Canal at the western terminus of Somerset Street East, the station services the University of Ottawa's southern section and the Sandy Hill neighbourhood. A pedestrian tunnel runs under the station linking the university and the canal. Campus station is the eastern-most bus station located within Ottawa's downtown core, serving mainly as a drop-off and pickup for pedestrians. Located at 45.4203, -75.6822 (Lat. / Lng. ), about 1 miles away. St. Clement Parish is a Roman Catholic parish community located in Ottawa, Canada. The parish has a mixed English and French demographic, and celebrates the Mass and other sacraments according to the Extraordinary form of the Roman Rite. Since June 3, 2012, St. Clement Parish operates out of Ste-Anne Church in Lowertown. Located at 45.4208, -75.6733 (Lat. / Lng. ), about 1 miles away. CHUO-FM is a Canadian community-based campus radio radio station, broadcasting at 89.1 FM in Ottawa, on Rogers digital cable on channel 943, via RealAudio stream and in MP3. It is the campus radio station of the University of Ottawa, and a member of the National Campus and Community Radio Association in Canada as well as the world community radio association AMARC. Located at 45.4231, -75.6845 (Lat. / Lng. ), about 1 miles away. The High Commission of Ghana in Canada is the high commission of Ghana in Ottawa, Canada. Located at 45.4073, -75.6871 (Lat. / Lng. ), about 1 miles away. First Avenue Public School is an elementary school in Ottawa, Ontario Canada. Built in 1898 it is one of only three survivors of a group of school houses built in Ottawa in the late nineteenth century. The nearby Mutchmor Public School being another. The building is today an officially designated heritage structure. A classic example of institutional architecture from the period it was designed by Edgar L. Horwood. It is in the Richardson Romanesque style. Located at 45.4064, -75.6855 (Lat. / Lng. ), about 1 miles away. The Embassy of Germany in Ottawa (known in German as Deutsche Botschaft Ottawa) is located on Waverley Street, off Queen Elizabeth Driveway, the Centretown neighbourhood, in the Canadian capital of Ottawa. The Ambassador to Canada from Germany is Georg Witschel. Located at 45.4185, -75.6818 (Lat. / Lng. ), about 0 miles away. St. Giles Presbyterian Church is a member of the Presbyterian Church in Canada located in Ottawa, Ontario. It was formed in 1925 by a minority group from Glebe Presbyterian, and a few other congregations, that did not support the vote to enter the United Church of Canada. It is located on the north-east corner of Bank and First Streets in the Glebe neighbourhood of Ottawa. Located at 45.4046, -75.6887 (Lat. / Lng. ), about 1 miles away. The Pretoria Bridge is a lift bridge in Ottawa, Canada. It crosses the Rideau Canal linking the Glebe and Centretown to Old Ottawa East. The bridge was built in 1915, replacing an earlier wooden swing bridge on Argyle Street just to the north. It is a lift bridge meaning that the central portion of the bridge can be elevated to allow boats to pass underneath. In the late 1970s it was discovered that road salt had seriously damaged the bridge. Located at 45.4115, -75.6834 (Lat. / Lng. ), about 0 miles away. Patterson Creek is a small body of water in the middle of Ottawa, Canada. The creek was originally a small stream flowing east through a swampy area to the Rideau River. The construction of the Rideau Canal blocked the creek causing it to become much larger in size. The Creek originally ran from near Lyon Street all the way to the canal. The creek was named after George Patterson, an early settler who owned the lot where the creek emptied into the canal. Located at 45.4076, -75.6834 (Lat. / Lng. ), about 0 miles away. The Embassy of Cuba in Ottawa is the Cuban embassy in Ottawa, Canada. It is located at 388 Main Street in Old Ottawa East. Located at 45.4033, -75.6752 (Lat. / Lng. ), about 1 miles away. The Corktown Footbridge, also referred to as the Somerset Street bridge or simply the Somerset Bridge, is a footbridge in Ottawa, Canada built across the Rideau Canal. The bridge is located about 400m south of the Laurier Avenue Bridge. It was opened on September 21, 2006. It links Somerset Street East in Sandy Hill and the University of Ottawa with Somerset Street West in Centretown. Previously the canal had been crossable at this point only during the winter months, when it was frozen. Located at 45.4206, -75.6844 (Lat. / Lng. ), about 1 miles away. The University of Ottawa, Faculty of Law, sometimes colloquially known as U of O Law, is the law school of the University of Ottawa, located in Ottawa, Ontario. The University of Ottawa Law School is one of Canada's most influential, having produced lawyers throughout French and English Canada since the 1950s. It is divided into two sections: a civil law and a common law section. Minto Park is a park in downtown Ottawa, Canada. It occupies a full city block, meeting Elgin Street on its west side, Gilmour Street on the north, Cartier Street on the east, and Lewis Street on the south. It contains picnic benches, street lights and several monuments, including a memorial to women who were murdered as a result of domestic violence and a bust of Argentinian general José de San Martín. Located at 45.4167, -75.6883 (Lat. / Lng. ), about 1 miles away. St. Theresa's Catholic Church is a Roman Catholic church on Cartier Street in downtown Ottawa, Canada. The church is located in the eastern section of downtown, on Somerset Street between Elgin Street and the Rideau Canal. Located at 45.419, -75.6882 (Lat. / Lng. ), about 1 miles away. Église Unie St-Marc (St. Mark United Church) is a small but historic church in Ottawa, Canada. It is the main church for francophone Protestants in the Ottawa Gatineau region. French speaking Protestants are a very small minority in Canada, but one with a history dating back to early Huguenot settlers. The Ottawa church was founded as a Presbyterian congregation in 1874, and its first building was located on the Lebreton Flats. It joined the United Church of Canada upon its creation in 1925. Located at 45.4162, -75.6885 (Lat. / Lng. ), about 1 miles away. The Embassy of the Hellenic Republic (Greek: Πρεσβεία της Ελλάδος στον Καναδά) is Greece's embassy in Ottawa, Canada. It is located at 80 MacLaren Street in the Canadian capital. Nikolaos Matsis serves as Ambassador since July 2007. Greece also operates regional consulates in Montreal, Toronto and Vancouver. Located at 45.4183, -75.6865 (Lat. / Lng. ), about 1 miles away. Ballantyne Park is a city park in Ottawa, Ontario, Canada. It is on the north side of Hawthorne Avenue, between the antique firm of Donohue & Bousquet at 27 Hawthorne Avenue, and the Hawthorne Avenue fronting of Gordon and McGovern, Contractors, at 60 Main Street. The North side of the park is bounded by the Queensway. The park is small, measuring only 100 metres long by 30 metres wide. Located at 45.4126, -75.681 (Lat. / Lng. ), about 0 miles away. 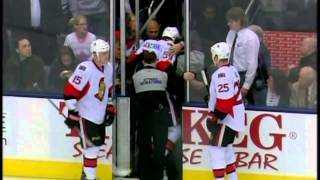 Dutchy's Hole Park is a park on the Rideau River in Ottawa, Ontario, Canada. It is part of the downtown Ottawa neighbourhood of Sandy Hill. The park has a wading pool, playground, and a football field, called Robinson Field. Pathways connect the park with Strathcona Park, the Rideau Campus of the University of Ottawa and via a former train bridge with Parc Riverain/River Road Park across the Rideau River in Vanier. Located at 45.4196, -75.6671 (Lat. / Lng. ), about 1 miles away. These are some bigger and more relevant cities in the wider vivinity of Ottawa East. Starting at: 08:05 am (08:05). Starting at: 10:50 am (10:50).